Russian Napoleon Cake - Puff Pastry Cake - Let the Baking Begin! 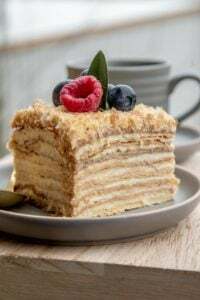 Russian Napoleon Cake is the ultimate Napoleon Cake and a cousin of the traditional Napoleon Recipe, it is made of crispy layers of puff pastry, sandwiched together with creamy and buttery custard. Check out my collection of other PUFF PASTRY DESSERT RECIPES. 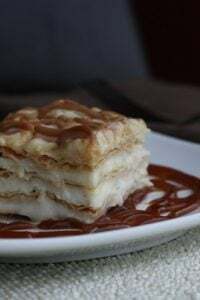 Napoleon Cake is traditional French dessert (Mille-feuille) that consists of several, flaky and crispy layers of Puff Puff Pastry filled with thick layers of pastry cream, with the top layer being covered in powdered sugar glaze with swirls of chocolate sugar glaze. Are there different types of Napoleon Cake? Yes, there is two general types of Napoleons. One is the French Napoleon cake which I described above. Second, is the Russian Napoleon Cake. 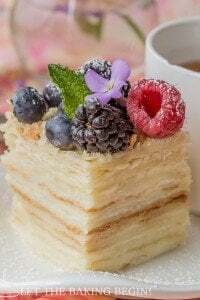 The Russian Napoleon cake is different in the fact that it typically has a lot more cake layers (could be as much as 15) of puff pastry, that are rolled super thin. The thin layers are then sandwiched with a moderate amount of pastry cream. This allows the puff pastry to soften and become very moist and tender, like shown below. It might sound like it defeats the purpose of using the puff pastry in the first place because the glory of the puff pastry is being able to see each and individual layer within the puff pastry. Nevertheless, once you try the Russian Napoleon cake version, you might see why we Slavics go crazy for this cake! Which type is this Napoleon Cake Recipe? This cake uses the technique of the Russian Napoleon cake (many thin puff pastry layers + moderate amount of pastry cream in between), but I recommend not waiting for 24 to 48 hours until the layers are completely softened. This will give you the absolute pleasure of experiencing different textures in each bite – crispy, flaky puff pastry and the super creamy pastry cream. You can wait until the cake becomes soft and tender, but you don’t have to. Try this recipe and decide for yourself which one you prefer. Can this Napoleon Cake be made ahead of time? If you prefer the crispy version, you can bake the layers and make the pastry cream the night before and assemble within 3 hours of eating for best results. If you prefer the soft and tender version, you can make the fully assembled cake as much as 48 hours in advance. Just keep the cake covered so it doesn’t dry out and absorb the fridge odors. I have done an Instagram Poll recently and have found that 78% of everyone who participated in the poll, prefer this Napoleon Cake while it’s still crispy and flaky. I decided to update my original Napoleon Cake Recipe with step by step pictures and little changes. I was craving this cake for several weeks and just couldn’t get to it. Finally, I made it and I kept telling myself that I couldn’t believe that now I need to wait for 48 hours for the cake to absorb all the custard and mend its flavors. So being very impatient, I cut into the cake 3 hours after making it and to my surprise it was unbelievable! The cake layers were still crispy, with a slight crunch at every bite, but you could go down through the cake with a fork with no problem. So now my recommendation is that if you make this cake, try serving it around 3 hours after assembly, just so that you know the difference. If you don’t cut it 3-5 hours after making it, at that point it’s best to wait 48 hours until the cake layers have absorbed the cream and became soft. When I posted this cake on Instagram several days ago, one of my friends who’s made this cake before left me a comment and I just have to share it with you. I don’t know what Parisian Napoleons taste like, but I totally believe her, because a cake can not get better than this! Now, add the egg mixture into the flour mixture and continue processing until the dough starts sticking to itself a bit, but is not formed yet. Pour the content of the food processor bowl onto work surface and start gathering and sticking the dough together with your hands, trying to work it as little as possible. Form a ball and knead it for a couple of seconds until a dough forms. Do not work with it too much, not to melt the butter with the warmth of your hands. Shape the dough into a log and then cut it into 4 equal pieces. Roll each piece into a ball, cover with plastic wrap and refrigerate for 1-2 hours. Combine egg yolks & sugar in a bowl and whisk them together, adding 50 milliliters of milk to make it easier. Add the flour and whisk again, forming a very uniform, lump-free batter. Add another 50 milliliters of milk to make it easier. Heat the remaining milk in a pot until boiling, all the while stirring to keep the bottom from scorching. Transfer the egg & flour mixture into a larger pot (about 3 quarts). Tamper the egg yolk mixture by slowly pouring the hot milk in, all the while mixing. Pour the mixture back into the pot and bring it to boil over medium heat, continuously (!!) stirring and keeping the bottom of the pot from scorching. Once boiling, cook for 2-3 minutes. Add vanilla extract & stir. Add butter, allow to melt and stir to form a smooth custard. Allow the custard to cool by pouring it into a jelly roll baking sheet and covering it with plastic wrap (plastic wrap should touch the custard, to keep the skin from forming). Do not refrigerate, just bring to room temperature. Preheat oven to 400F. Set the rack in the middle. On a back of a jelly roll or a 12-inch baking sheet, roll out 1/2 of 1 dough ball, until about 12.5 inches in size, by dusting the surface with flour as needed. Prick with a fork all over, to prevent uneven rising. Bake for 5-7 minutes, until lightly golden in color. Repeat with the rest of the dough, to make 8 layers. As soon as the cake layer baked and out of the oven, place an 11-inch plate or lid on top of each cake layer and cut around, collecting the scraps into a separate bowl and being careful to keep the cake layers from cracking. Crumble the cake scraps. Set aside. Place a dab of frosting on a serving platter. Place first cake layer and press to adhere. Surround the cake layer by a cake ring & secure with a ribbon or a cake strip. The rest of the cake will be assembled inside the ring. Place about 6 large spoons of frosting and smooth it around. Repeat with the rest of the frosting and cake. (This can be done as you bake the cake, meaning that cake layers can be just slightly cooled when you start assembling the cake. Warm cake layers will speed up absorption). Sprinkle couple tablespoons of shredded scraps on top of the cake. Run a knife between the cake and the ring. Remove the ring. Take some crumbled scraps into the palm of your hand and press them against the sides of the cake, all around. Sprinkle the rest of the cake crumbs on top of the cake. The cake scraps are not only for decoration but also to keep a skin from forming on the custard. Serve chilled. Best Napoleon Cake Ever! 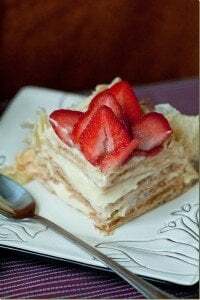 – Soft, moist and delicious Napoleon cake. Russian Napoleon with Pastry Cream – Simple puff pastry cake with pastry cream. 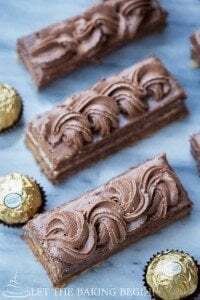 Nutella Napoleon – Simple chocolate Napoleon cake. Whisk together eggs and salt, stir in cold water, 2 tablespoon vinegar & 3 tablespoons vodka. Add flour to the cup of your food processor. Add cold, cubed butter and pulse or process until the crumbs are pea size. Add the egg mixture into the flour mixture and continue processing until the dough starts sticking to itself a bit, but is not formed yet. Pour the content of the food processor bowl onto work surface and start gathering and sticking the dough together with your hands, trying to work it as little as possible. Form a ball and kneed it for a couple of seconds until a dough forms. Do not work with it too much, not to melt the butter with the warmth of your hands. If your custard had clumps, run it through a fine sieve or pulse it with an immersion blender (handheld) until smooth. Prick with a fork all over, to prevent uneven rising. Bake for 5-7 minutes, until lightly golden. Repeat with the rest of the dough, to achieve 8 layers. As soon as the cake layer is baked and out of the oven, place an 11-inch plate or lid on top of each cake layer and cut around, collecting the scraps into a separate bowl and being careful to keep the cake layers from cracking. Surround the cake layer by a cake ring & secure with a ribbon or a cake strip. The rest of the cake will be built inside the ring. Place about 6 large spoons of frosting and smooth it around. Repeat with the rest of the lump-free and cake. (This can be done as you bake the cake. The cake layers can be just slightly cooled when you start assembling the cake. Warm cake layers will speed up absorption). Sprinkle couple tablespoons of shredded scraps on top of the cake. Run a knife between the cake and the ring. Remove the ring. Take some crumbled scraps into the palm of your hand and press them against the sides of the cake, all around. Sprinkle the rest of the cake crumbs on top of the cake. The cake scraps are not only for decoration, but also to keep a skin from forming on the custard. Serve chilled. If you want it soft, it can keep just fine for up to 3 days with perfect flavor. After that, it won’t go bad for up to a week probably, but the cake will start to dry out. This looks so good! Is it good served with anything else, like fruit or by itself? We serve it by itself, but you can top it with berries if you wish for a pop of flavor like I did HERE, HERE or HERE. I was so excited to make this for Easter dessert and left me disappointed and disheartened. I was so excited to try this recipie! My family loves Napoleon and my husband makes excellent Napoleon, but it takes time, long time… however this was nothing like real thing, very disappointed. It was edible but not something we would make it again. So I guess no shortcuts! I’m sorry the recipe didn’t come out the way you wanted it. I wonder if you could describe what the “real thing” tastes like? This recipe is what we grew up eating back home, but if there’s a recipe that’s even better than this one I would love to try that one too. Do you have a recipe for your favorite Napoleon? Thank you- great recepie and video! Hower, considering optional recepie,since this cake is born in Russia in an event of a victory of Admiral Kutuzov over Napoleon in 1812. This layered dough is right, but the filling ( cream) should be without a smallest taste of flour- it’s not the taste of an original Napoleon’ This recepie is very common, but for A real Russian Napoleon -This particular cream : feels thick, heavy and chewy. A real Napoleon should be very light, crispy, melting in your mouth with a taste of a sophisticated luxury! So, add no flour please- the cream should be melting in your mouth without aftertaste of flour on your teeth. Try to use 2 cans of organic condensed milk- sweetened, 400 g of the best unsalted butter and 10 g of vanilla sugar powder. You can add squizzed lemon juice. Beat it in the mixer until white color. Cover every layer , as it was explained on this wonderful presentation! Your instruction was excellent! This was so tasty, and makes me want to visit France! Hi, the cake looks very much Russian style:) I would like to cook it but a bit confused about the measurements in cups… What is the volume of a cup you are using? Cups are a standard of measure here in the US. So the volume of a cup is 8 oz or 237ml. You can probably google any other specific measurements. Hi, this recipe looks amazing! I’m going to attempt it, but just moved to Ecuador and no longer have my kitchen gadgets. Without a food processor would you suggest just cutting in the butter? Many thanks! Hi Juliet, you can just use a knife to keep cutting the butter into the flour until it gets to about the size of peas. Good luck Juliet! Directions all of a sudden change from standard to metric, very upsetting. I made this cake today. I had a few issues. I forgot to prick some of the puff pastries before baking. As soon as I pulled them out in their puffed glory, I pressed them down gently with another sheet tray. Worked like a charm. I used the 400 g of butter that you used, so maybe I should have slightly increased the flour, I think. It did not set up as desired. I put it in the fridge, and it did set a bit. I used rectangles instead of rounds. I layered the pretty runny custard with the lovely pastry, crumbed the sides and put a layer of custard and berries on top. Then I wrapped the sides tightly in foil and refrigerated it for about 3 hours. It came out beautiful, and everyone loved it. I wish I could add photos to show you. Thank you for this wonderful recipe! About the flour, do not increase the flour. The cream is supposed to be thinner like it was. If anything just let the cream cool to room temperature, or refrigerate it after you make it to make it thicker. Otherwise do not change anything, unless you would like a different texture or flavor of the cake. If you have social media accounts you can upload it to Facebook or Instagram and tag me, I would love to see your pictures! I just made this last night and it was so good, thank you Marina! Must say though it was a so sweet and rich I couldn’t eat too much! I’m finding ways to make it lighter for next time. I used the 2.25 grams of sugar but I think next time I will use 1.5 grams. Also I used 400 grams of butter. I see you say you used 400 grams of butter but it calls for 150-200 grams? What does the butter do for the custard? If I use the original 150-200 grams instead how will it affect the custard? Thanks so much looking forward to trying this again! In making the little changes in the recipe, I was trying to replicate the Napoleon cake as I know it and as I grew up eating. You can most definitely adjust it for your taste with less sugar and butter. The butter makes the custard smoother and more creamy, it also makes it less “floury” so to say. If you add only 150-200 grams of butter I would reduce the flour by about 4 tablespoons, as the butter melts and makes the custard thinner. If you put less butter, you will need to make he custard thinner to begin with. Hope this helps! Thanks for your questions and the star rating! Thanks so much Marina for your response! That helps a lot. I will try again soon with these changes. I also waited 24 hours after making and it tasted so much better than when I ate it 4 hours after making. Even the sweetness was tempered down which was great for me! The cake looks yummy.. But what can substitute for vodka? Can I put orange juice instead? Just omit the vodka altogether. It doesn’t add flavor, it helps with separating the layers within the puff pastry. There’s nothing you can substitute the vodka with, unfortunately. Kind of Made this cake this afternoon, I think I overcooked my custard because it never set. I was dying to eat this. Hopefully it will thicken overnight. I had no idea the cake would take this long. Hope it’s worth it. Could you clarify by what you mean when you say “set”? did it not thicken at all? If you have added the eggs and the flour then the only way it would not thicken is if you did not cook it long enough. The custard needs to cook for a couple minutes past the boiling point. Hope it all worked out! "Napoleon" with Bavarian Cream - Let the Baking Begin! It’s 2 Tbsp, I just corrected it. In the original it was 1 tbsp of 9% vinegar, but in the states we don’t have a 9%, only 4.5%, so I edited it so that the recipe would contain proper amount of acidity. I’m excited for you to try this recipe! Let me know how you like it once you make it! Do I really need to put the custard mixture into a jelly roll sheet ? Or any container will do? Does it need to be covered by plastic? No you do not need to put it into a jelly roll pan. I do that to speed up the cooling process. You can just leave it in the pot to cool. Do make sure to press the plastic film against the custard to prevent the skin from forming. Hi. How can i make this cake Dairy Free. No butter and no milk. What can I substitute it with to me it as delicious as dairy version.? I’m sorry I haven’t done that, therefor can not recommend anything. I made this Napoleon cake this weekend and it oh so reminded me of the Napoleon that my Babushka used to make when I was a kid! Just scrumptious! Thanks so much for your feedback Victoria! Glad to help you bring back some good memories! Thank you so much! It meant the world to my dad to be able to enjoy a true Napoleon torte again. My grandmother used to make it every year for his birthday (it’s his favorite) but she has been getting older and unable to handle how labor intensive it is. It had been years since he’s enjoyed a piece. Let me tell you, this recipe almost brought him to tears. He says it was just like how he remembered it, and that it was amazing. I used an amount of sugar somewhere in the middle range and I used some extra butter in the custard than it suggests. I also used a spring form pan to create the layers in since it’s all I had. I chilled it for a short time after layering and then carefully removed the pan side and crumbed the rest. Everyone loved it and it really made my dad’s birthday special, will probably continue on the yearly birthday cake tradition! This is amazing! thank you so much for sharing your feedback! I am so excited…. I have not made the recipe yet, but it looks just like the most AMAZING cake they make in Egypt called “Millfay” They make it to order, and just as you describe, it is crispy and delicious. They also put sliced fruit on top – pineapple and peach are particularly delicious. Like many others, I have a question about the alcohol substitute. Being Muslim, we do not use it at all – even if the alcohol bakes out – so is there anything else that will have the same effect of keeping the dough tender? Thank you!!! Hi SL, thank you so much! You can just omit the alcohol altogether and not worry about it, there’s not really a substitute, but it will be ok:) If you want the layers to be crispy, serve it within about 2-3 hours, for most crispiness. Thank you! I just noticed on another post (from another recipe) that you said your daughter has been having health issues. I hope that she is doing better and we wish you and your family all the best. Is thewre any way you can remove people from that service? Well that’s annoying. I’m sorry it’s happening 🙁 In the email that you’re referring to, at the bottom there should be an “unsubscribe button”, once you click it you can unsubscribe yourself from the posts or blogs you don’t wish to receive notifications from. For crispy cake would I put in the fridge for 3 hrs or leave it out? You would put it in the fridge. No cognac is different than vodka, but their alcohol concentration is about the same, so you can use either one in the recipe. Both are about 40% alcohol. Thank you so much for your help! I will be attempting to make this for the first time, hope it turns out good! 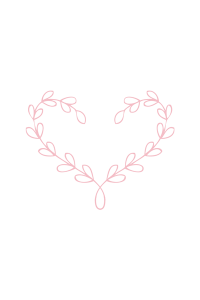 I love your recipes and your website, thank you for all your hard work. I truly appreciate it. 40% alc is exactly what you need, so just use exactly the amount it says in the recipe. Thank you so much dear! Really appreciate your kind words! delicious, but I prefer the phillo dough. It soaks up the custard beautifully! Hi, Can I substitute 9% vinegar with 5% one? This loOks a lot like my favorite pastry from Venezuela, called mil ojas. Do you know that pastry and if so, is this the same thing? Marina this cake is unbelievable! You made my husband very happy today. Napoleon has been his favourite cake since he was a boy and he said that this is the best version of it that he’s ever eaten. Thank you!! Hey can you plz give a non alcoholic substitute for vodka? You can just omit it altogether :). It’s not there for flavor but for texture, as the alcohol evaporates while baking. Can you please tell me a non-alcoholic substitute for Vodka? No one in my family intakes alcohol and I wish to make it for my sister’s birthday today. And I have store bought puff pastry. Can I use that one? But it’s very thick. You can totally omit vodka, but if you’re worried about the alcohol flavor in the cake I can tell you that is not why this recipe includes vodka. Vodka is to help keep the dough layered when it’s baked and all if it’s alcohol content is evaporated as it bakes. If you have store bought puff pastry you can definitely use that instead. Just thaw in on a counter, then use rolling pin and a sprinkling of flour to roll it out very thin. Then just bake it until slightly golden. Hi Angie, each stick butter is 115 grams. So it’s about 3 1/2 (three and a half) sticks butter. I am not sure how margarine would effect the texture so I can’t say for sure. Can I use store bought puff pastry?? And if I make ur puff pastry can i freeze it once baked? Thanks! I just made it with store bought pastry two days ago 🙂 So yes, you can use storebought pastry. It is better to freeze the dough itself instead of the baked one. It will keep at room temperature for a couple of days baked, although if you really wanted to you could definitely freeze the baked puff pastry sheets as well. How many packages of store bought pilly pastry would I need to use? About 3. Just roll the pastry sheets to at least 12×18 inches each time. The cake will be smaller in height (once it settles), but larger in size. Or you could cut the 12×18 in half and stack them. Do you put the cake in the fridge right away? Nope, I leave it out for about 3-4 hours… then I put it in the fridge. Tried to follow you but it says your page is not available? Thought you would like to know and get it fixed. Thanks for the heads up. Just fixed it, should work now. This is the best cake ever! I have been looking for this recipe half of my life. We have a local Lithuanian bakery that makes Napoleon’s. My husband usually gets me one for my birthday every year. While they are delicious they are not cheap $29.00. Now I can enjoy my cake and make it too. Thank You so much. Good job! Tough cake to make and u did an amazing job.